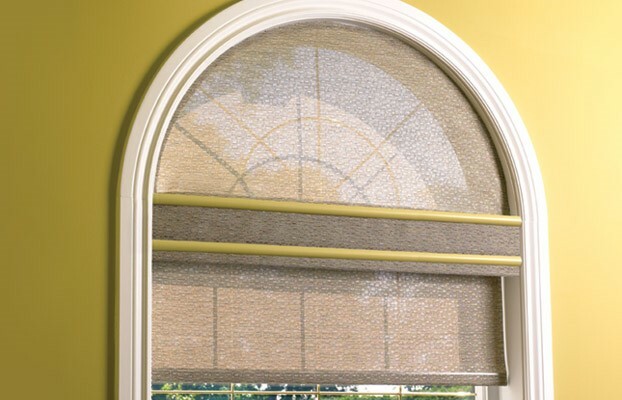 Fixed multiform shades consist of fabrics cut to the exact dimensions of windows in various shapes (circular, octagonal, rectangular, half-moon, crescent, etc.) or according to a template. A female Velcro is sewn on the entire shade and is accompanied by a vinyl track equipped with male Velcro to hold the shade in place. The shade is fixed and cannot be raised or lowered.